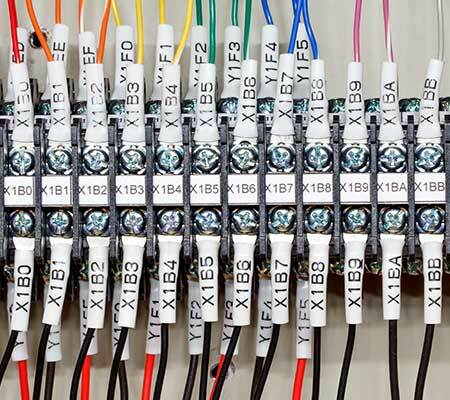 There are many options to choose from when you are looking to label your wires or cables. 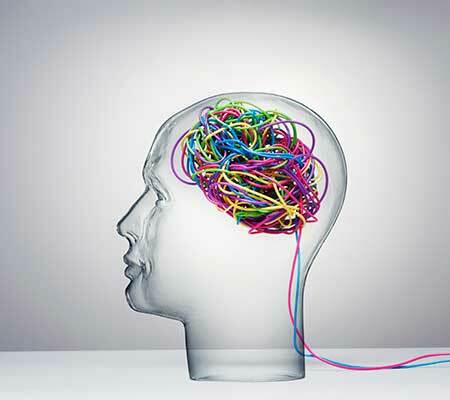 From pre-printed markers to printing your own wire marker labels or heat shrink sleeves, how do you decide? Here we are going to focus on options for printing your own wire markers or heat shrink sleeves. In selecting a label you must make sure the label is conformable and will not unwind after applied. Labels have “memory” and structurally want to go back to being flat so it is critical that you select a material that will not pull back up after being applied. It is also important to have a label that is long enough to wrap around the wire or cable and come back on top of itself to create the best bond. 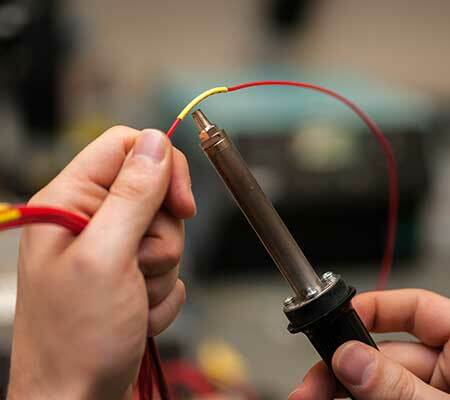 Additionally, wires have coatings on them that do not promote adhesion so if the label does not get wrapped onto itself it may come off the wire or cable much easier. 01.What are your options in selecting a wire or cable marker? Pre-printed label: These come on cards or sheets and have a pre-printed legend on them. They are typically limited to numbers or letters unless you have them custom produced. Wrap-around label marker: Labels are available in different sizes and can be printed on your thermal transfer or laser printer with the legends you need to mark your wires or cables. Self-Laminating wire marker: Labels are available in different sizes and can be printed on your thermal transfer or laser printer. They will have a white printable area and a clear laminating tail that will wrap around your wire and cover up the printable area for extra protection. 1. Ladder style sleeves: laced on a liner or carrier and are adhered with some sort of adhesive or tape. They are a fixed length. 2. Continuous sleeves: Sleeve on a continuous spool that has been flattened to allow them to run through the printer. You need a center aligned printer for this type of sleeve and most systems come with a cutter that will allow you to print and cut the sleeves all in one pass. 02. 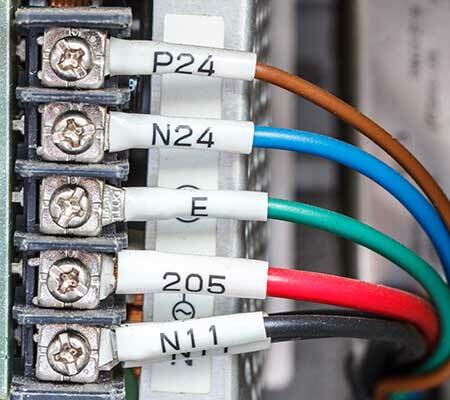 Are you marking your wires before or after termination? 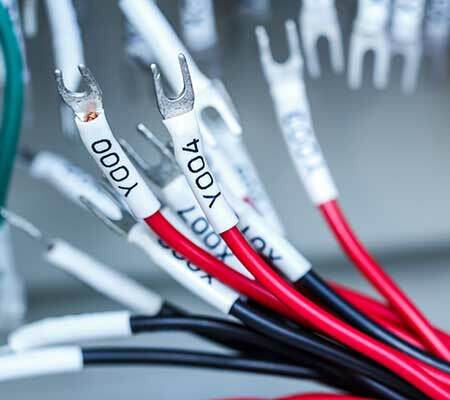 Before termination: Labeling your wires or cables before termination allows you to select the best method to meet your application needs and requirements. You can you can use heat shrink sleeves, wrap around markers or self-laminating markers. Using heat shrink markers allow you to place your sleeve on the wire and easily move it before it is shrunk in place. It also allows you to keep the sleeve on your wire without shrinking it down to allow you the ability to move it on the wire for their needs. 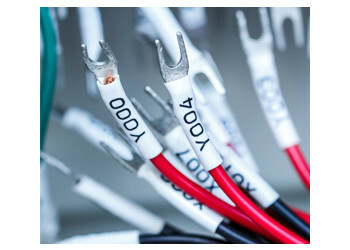 After termination: If you are marking your wires after termination you limit your wire identification options to wrap around wire markers or self-laminating wire markers as they do not need to slip over a connector on the end of the wire. 03. How do I select the right size wire marker for my wire/cable? 2. Wire Circumference x 1.5 (allowing the label to wrap 1.5 times around the wire) = Ideal label length. For heat shrink labels, feel free to use our handy chart that explains what size heat shrink tube fits with your wire gauge! 04. What is the best printer for my wire marking labels? 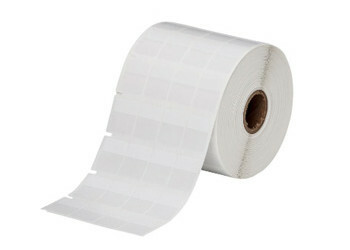 There are many options to print wire marker labels including laser and thermal transfer printing. 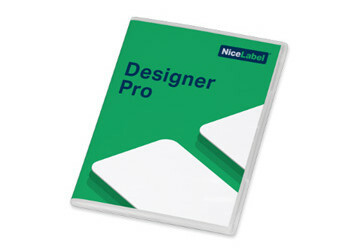 Thermal transfer is the preferred print method as you can print as little as one label at a time. However, this is not the case with laser labels. Once you print a sheet of laser labels it is not recommended to run the sheet through the printer again. Doing so may cause damage or labels to peel up. Additionally, when you are dealing with thicker materials, such as heat shrink, make sure you choose a center aligned printer to allow the print head to stay level. 05. What is the best printing system for printing labels and heat shrink tubing? Dasco is a proud provider of several different label and printer suppliers from around the world. However, one stands out above the rest in this printing wire marking sleeves and we cannot recommend them highly enough: cab Technology. 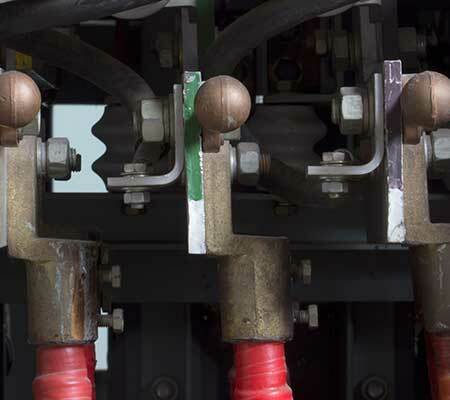 Cab Technology makes high quality and intuitive printers that not only meet the needs for your wire identification applications, but can be cross-used for printing a variety of other label materials as well. A little known fact is that cab Technology manufacturers printers for other big brands in the industry as well! Cab offers an entry level EOS system, an industrial Squix M system and the two sided XDT system. All of these printers are center aligned and will print on labels or sleeves. Another great thing to consider with the cab printers is that while you may have a slightly higher up front cost then a smaller portable printer, you are not locked into expensive branded cartridges. For an average user the cost of these cartridges on handheld printers outweigh the cost of purchasing a more expensive printer within the first year. 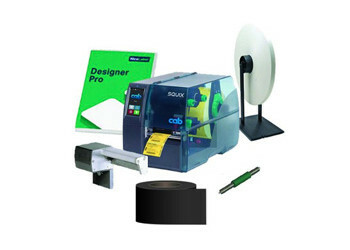 In selecting a partner to get your system through be sure they are familiar with printing on wire marking labels or sleeves as there are specific questions they should be asking you to ensure they are pairing the right material with the right ribbon and printer to get you the most bang for your buck. 06. How do I design and print my wire marker labels or heat shrink sleeves? There are label design software packages specifically created for the layout and printing of wire labels and heat shrink sleeves, be sure to work with your partner to determine which software will best meet your needs. No matter what business you are in, be sure to choose a supplier you trust to not only choose the right system for your application, but that who can offer the support behind the system to ensure your application runs smoothly and your processes increase efficiencies.